I'm always looking for ways to game the system and satisfy my chocolate cravings while staying within my dietary budget. 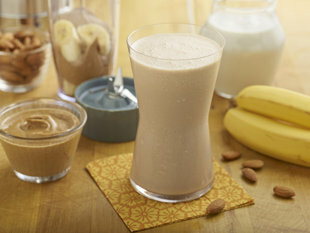 Fitness expert and trainer Chris Powell (who you may remember from ABC's Extreme Makeover: Weight Loss Edition) offers up a delicious protein shake recipe that delivers all kinds of good stuff while feeding my need for chocolaty goodness. Is Your Wallet Making You Fat?